Energy efficiency may be an inexpensive way to meet future demand and reduce greenhouse gas emissions, yet little work has been attempted to estimate annual energy efficiency supply functions for electricity planning. The main advantage of using a supply function is that energy efficiency adoption can change as demand changes. 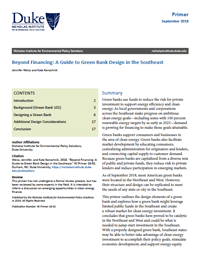 Models such as Duke University’s Dynamic Integrated Economy/Energy/Emissions Model (DIEM) have had to rely on simplistic or fixed estimates of future energy efficiency from the literature rather than on estimates from energy efficiency supply curves. 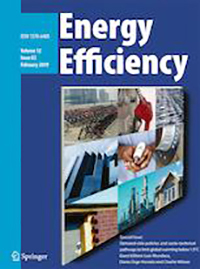 This paper attempts to develop a realistic energy efficiency supply curve and to improve on the current energy efficiency modeling. 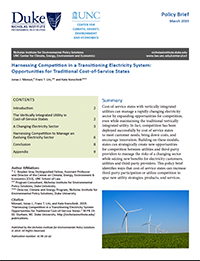 It suggests an alternative approach based on saved-energy cost data from program administrators and explains the methodologies employed to create the supply curve. 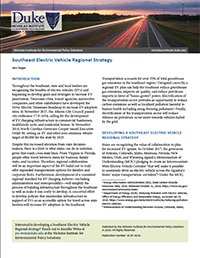 It illustrates this approach with results from DIEM for various electricity demand scenarios. 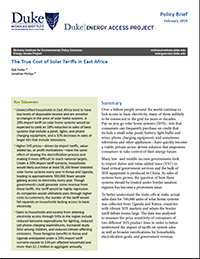 The analysis suggests that an additional 5–9% of energy efficiency is deployed for every 10% increase in the cost of electricity. Therefore, DIEM “invested” in energy efficiency up to an inelastic point on the energy efficiency supply curve. By contrast, the U.S. Environmental Protection Agency’s energy efficiency approach assumes that realized energy efficiency is fixed, and has no elasticity, regardless of changes to marginal costs or constraints that affect emissions or economics. 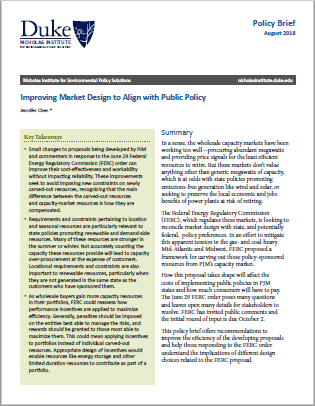 The Federal Energy Regulatory Commission, which regulates wholesale capacity markets, is looking to reconcile market design with state, and potentially federal, policy preferences. In an effort to mitigate this apparent tension in the gas- and coal-heavy Mid-Atlantic and Midwest, the Federal Energy Regulatory Commission proposed a framework on June 29 for carving out those policy-sponsored resources from PJM's capacity market. The June order poses many questions and leaves open many details for stakeholders to resolve ahead of the close of FERC’s initial round of public comments on October 2, 2018. 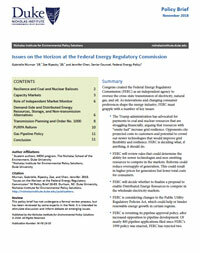 This policy brief offers recommendations to improve the efficiency of the developing proposals and help those responding to the FERC order understand the implications of different design choices related to the Federal Energy Regulatory Commission's proposal. 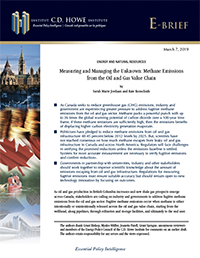 In the United States, expansion of onshore fracturing and horizontal drilling technologies has sparked calls for greater control of industry impacts. 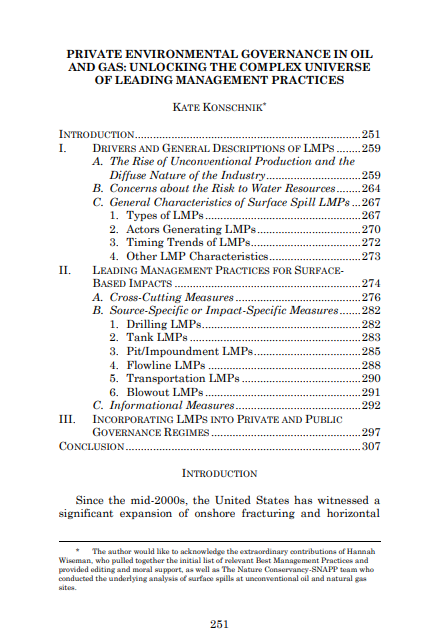 Alongside fractured regulatory efforts, a broad private governance movement has encouraged adoption of voluntary measures—often called “best management practices.” To explore the role of best management practices in unconventional oil and natural gas production, this article in the Florida State Journal of Land Use & Environmental Law focuses on surface spills of hydrocarbons, drilling wastes, fracturing fluid, and wastewater at production sites.